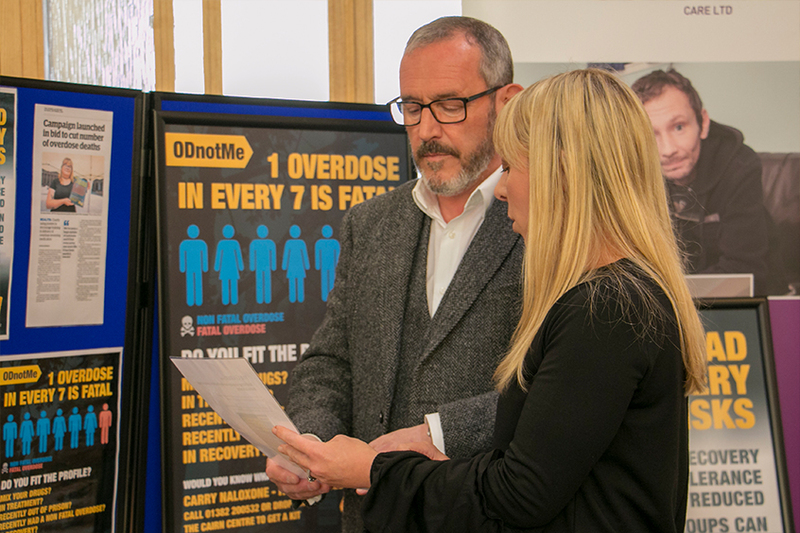 Stewart Hosie MP (SNP) visited Gowrie Care’s harm reduction service in Dundee last week to find out more about the charity’s overdose awareness campaign. ODnotMe aims to combat drug-related fatalities in the city by breaking down stigma surrounding drug overdose and dispelling the myths associated with it. Gowrie Care’s area manager Ingrid Hainey explained: “Dundee has the highest number of drug-related deaths in the UK. It was recently reported that three people in Tayside and Fife die every week from drug misuse. 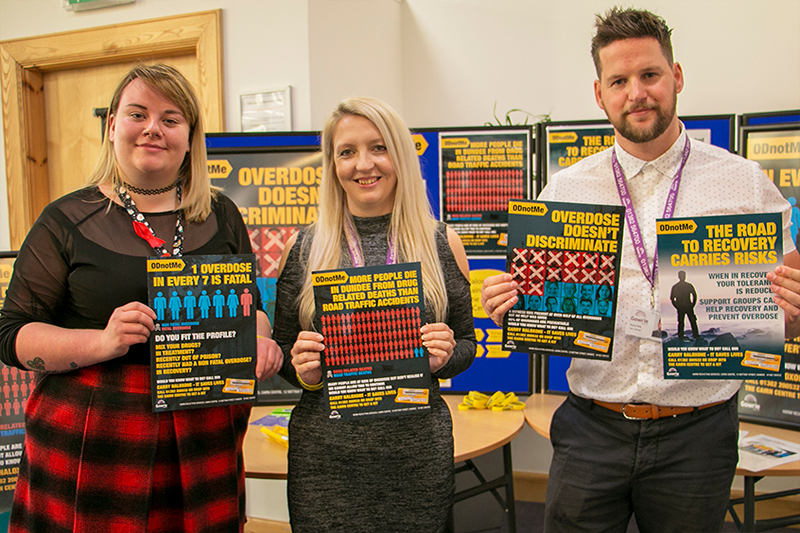 “To tackle the problem our harm reduction team aims to reduce the number of deaths by training people in the use and distribution of Naloxone, an overdose reversal medication. 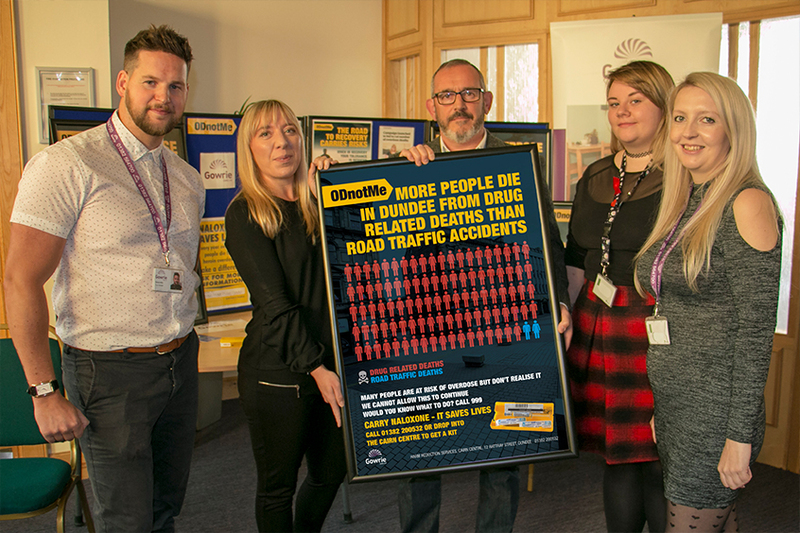 Stewart Hosie MP commented that: “The drug death statistics that were recently released are incredibly alarming. Dundee has come a long way in recent times and I believe everyone here can be proud of the massive regeneration that has taken place. “That regeneration needs to work for everyone therefore I am glad that third sector organisations, as well as the Scottish Government and Dundee City Council, are taking firm action to ensure Dundee’s transformation works for everyone. To pick up a Naloxone kit drop into Gowrie Care’s office at the Cairn Centre, 12 Rattray Street, Dundee. 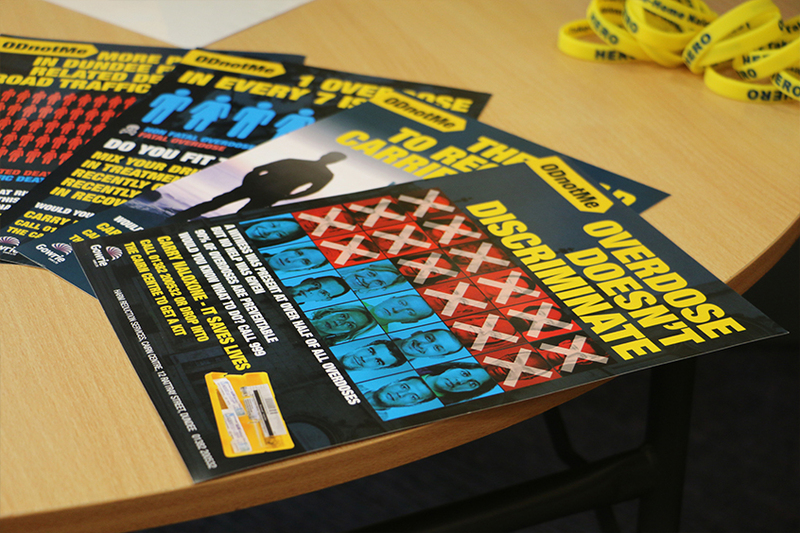 Posters promoting the campaign are also available to collect for display.